Raed the whole thing. It’s the most fascinating piece of writing out in a while. I found two excerpts particularly worthy of commenting on. Mastering the natural environment! This is why I say to become a hobby vegetable gardener, trying to get the highest and best yields in a small space. It’s the most accessible form of mastering the natural environment available to us, and it is needed. One of the best things about hobby food production is talking to other farmers, because they are having an identical experience that you are having. You get a Guild-based Hive Mind going. I think Guilds were always a form for the Hive Mind to develop. When millions of us are farming again, that Hive Mind will get very strong. The government knows Hive Minds can develop, and the whole industrial and mass media complex is designed to prevent a Hive Mind from developing. It’s like Roundup on our minds, man, you dig it? They trick us into crippling our own minds by the habit of putting babies and small children in front of televisions and video games. The opposite of mastering the natural environment. Getting free stimulus without any tactile, kinetic, ergonomic, three dimensional actions at all. It cultivates passivity. TV and other entertainment related “screen time” is amazingly diabolical. It’s like Chinese foot wrapping for the brain. So many young women don’t know better or don’t care, and put their kids in front of the TV claiming, “So I can get something done.” But the kid will not constantly demand her attention if she leaves him to play. It’s a horrible excuse. She’s not even trying to give the kid a chance to entertain himself and not demand her attention. Children need to be given the chance to start mastering the natural environment from day one, and always. The supernormal stimulus of television is absolutely state sanctioned child abuse. It is the crippling of our minds, and we do the job for them. We buy the televisions and pay for cable to destroy our early developing minds, and those of our descendants. It’s utter madness! Little kids love gardening if it’s done right. Have them do most of the work when it’s spring and cool, and in the summer, get them up very early so it’s cool, and let them go back to bed after work is done. 3 hours at a time is about the longest to do it. People want to be useful to others, and children know this best. We aren’t selfish beings. Even someone driving a Ferrari around for status is trying to say, “I’m a provider.” But there’s no feeling like hauling in wheelbarrows of harvests to the womenfolk to process. This is how to live. This is how it’s worth spending our time. Raising kids to master their natural environment. 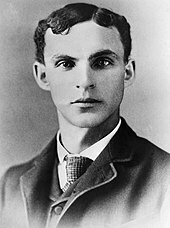 Henry Ford was born July 30, 1863, on a farm in Greenfield Township, Michigan. His father, William Ford (1826–1905), was born in County Cork, Ireland, to a family that was originally from Somerset, England, His mother, Mary Ford (née Litogot) (1839–1876), was born in Michigan as the youngest child of Belgian immigrants; her parents died when she was a child and she was adopted by neighbors, the O’Herns. Henry Ford’s siblings were Margaret Ford (1867–1938); Jane Ford (c. 1868–1945); William Ford (1871–1917) and Robert Ford (1873–1934). Philo discovered a cache of science magazines like Popular Science in the attic of the old farmhouse where the Farnsworth family took up residence. It was in these magazines that Philo read about a then favorite topic of science writers such as Hugo Gernsback: television. Sending pictures through the air was no more fantastic than broadcasting speech and music using radio waves, but no one had figured out how to send or receive images. Radio itself, in 1922, was in its infancy. There were only 30 licensed broadcasting stations in the United States. There were no stations yet in Idaho, and only one in Utah. But due to lack of interference, radio transmissions could be received from great distances. Sending pictures through the air started out as a fascinating diversion for this young boy, and grew into an intense preoccupation as he grew older. But plowing or disc-harrowing potato and hay fields all day gives one an abundance of time to think. After a while, a good plow horse knows when it is time to turn the plow and start the next row: a time for boredom or inspiration. When Philo looked over the newly plowed field as he was finishing, he saw evenly parallel lines, row after row. It occurred to him that an image could be sliced into such rows, back and forth, and then each row transmitted in a continuous sequence. Thus the “raster” image was born. It was at Rigby High School that Philo met Mr. Justin Tolman, who was his chemistry teacher. Philo persuaded Mr. Tolman to give him special instruction and allow him to audit a senior course. Throughout his life, Farnsworth gave credit to Tolman for providing inspiration and vital knowledge to him at this critical time in his life. Years later, Mr. Tolman was able to testify at a patent interference case, producing a small paper diagram that he had saved years earlier, decisively proving that Farnsworth was the original inventor of television. The man who mastered the natural environment, created a device to destroy the minds of future generations! What an irony! And Ford with his cars — they also turned out to be a problem in that the car industry warped the transportation system of the country to favor cars and destroy mass transportation. But there you go — that’s how you produce geniuses. A farm doesn’t just grow food, it also helps existing genius to flower. 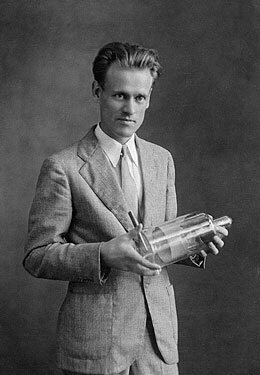 Can you imagine if Philo T. Farnsworth had been given cartoons and World of Warcraft at a young age, instead of ploughing fields and fixing stuff? Our genetic tendencies toward social cohesion are weaker than other races and require a higher level of group conflict to trigger their expression. Our Hive Mind is weaker, but can be stimulated by group conflict. In other words, the comments sections on news sites everywhere! That’s our Hive Mind developing! Be sure to read the whole Macdonald review. It’s very fascinating but I’m not going to copy paste it here. Jews who are smart have skulls that protrude in the back. Look at this site by Eric Hufschmid. Beware I’m not so sure Hufschmid is not a disinformation agent but to be a good one you have to let out a little truth. Also note this is a link to many pages of skulls. And I just saw King Midas skull while looking at old ruin sites. Look at how the Jews and King Midas skull protrudes in the back. Could this be why they seem to be so uncaring and have lack of empathy? Empathy I believe comes from the frontal cortex and psychopaths have little activity there when shown violent scenes. I’ve said many times I believe that the Jews are a tribe of psychopaths. They have noticeably different skulls maybe that is why Boas worked so hard to dispute that skull types meant anything. It would be a way to instantly recognize them. that would be interesting if we could figure out people’s character from skull shapes. I think the science of neurology combined with computer tech may also do that. They have gotten to the point where they can read people’s minds. My suggestions is, as always, to act like a CIA case officer for WN, and befriend anyone who is a racial rival and is successful, and see what you can learn out of him, what you can get out of him (a convenience store, a job on Wall Street) and so on that can make you rich. A scientific revival of phrenology? Who would have thought it? HA. I was just about to post the same link as Eikos did. koanic is an off shoot from Tex Arcane who invented the idea. Tex is… a little strange but that doesn’t mean he’s not correct. He’s a self described Neanderthal aspie computer programmer survivalist. used to run a world wide civilization. The Neanderthals were a separate species. 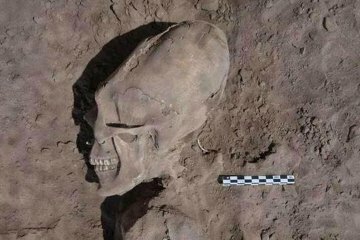 The melonheads genetically engineered Sapiens, (present day humans), to attack the Neanderthals and kill them. The Sapiens did through higher population numbers and advanced ability to throw spears. The melonheads screwed up though because the Sapiens kept and raped all the Neanderthal Women. Hence the 5% or so Neanderthal admixture in Northern Europeans. He claims the Neanderthal portion is responsible for creativity in Sapiens. He does not like Sapiens or Jews. I’ve read that the early Greeks, Spartans and Romans were blonds. Maybe so. The question has to be, why were the Germanic tribes defeated by the Romans. Badly too. Was it only because they refused to organize? This may seem irrelevant to today but I think not. Only by knowing how something decayed can you change the decay process. Very interesting article and comments! I am always on Jew patrol so this new bit about skull shapes might come in handy. Re: J Patrol-I just like to know who or what I’m dealing with. The Germanic tribes defeated the Romans well enough to take possession of Italy, Gaul, Spain, England, and central Europe (Illyria, Pannonia, Rhaetia). They already had Germania and parts north. They won and lost important battles, but they won the long-term war hands down. That looks like an interesting book. I went ahead and ordered it. I’m looking forward to reading it. Interesting that the book can be written in the former Soviet Union, yet if an authour in the supposedly free West were to write it, there would be the equivalent of media show trials and denunciations.